With a new personal best of my 6:43 mile, it’s time in reevaluate what my tempo and recovery paces. First of all, I thought my best 5K time would be 25 minutes but I’m starting to build speed and I’m coming in around 23-24 minutes. I’m crushing it. To find my paces, I’m putting myself at a best mile of 7 minutes. This would put my 5K time at 23:45 with an average of 7:40 per mile. That’s accurate. I’m running between 7:40-8:00/mile when I go out for my 5K runs. Which means, I should really run a 5K race again so that I can beat my PR. I’ve only ever ran one 5K race at the Starbucks a Run for Women, so it would probably be the perfect time to do it. That would make my 10K time 49:00 with an average of 7:55/mile. My current 10K PR is 48:36. A good downhill race should break that. The next pace makes me really happy. Half marathon pace = 8:20/mile and finishing in 1:50:00. This is my ultimate goal. My current half PR is 2:02:09. I could demolish my PR this fall. If I broke 2 hours, I would be over the moon. My marathon time (which in all honesty I would just be happy to finish because it would be my first marathon and an automatic PR) would be a time of 3:45:00 and a pace of 8:35/mile. Which brings me to my tempo pace of 8:15 and my recovery pace of 9:35. These numbers aren’t scary to me and don’t feel out of reach. It just comes down to the ultimate question, what race do I want to run this fall? For 2 years, I have tried to run the Scotiabank Toronto Waterfront Half Marathon and something gets in the way every time I register. One year, I sprained A LOT of tendons and ligaments in the bottom of both my feet. But, I got to be a spectator for the first time and cheer my sister on! Last year, I ended up travelling for work and couldn’t run. 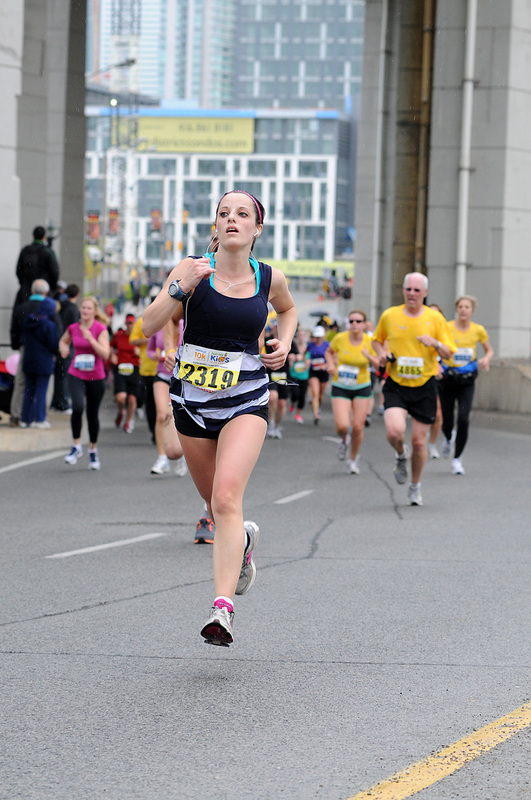 If I don’t run STWM, I’m thinking of running the Niagara Falls Half Marathon. Or running the STWM half and then the Niagara 5K. I’m so excited for the fall race training season and I need to commit to these races before it’s too late. What races are you running this fall? Do you recommend any races? This entry was posted in half marathon training, pace, running by Siobhan McCarthy. Bookmark the permalink.